Dr. Strobel is board certified in pediatrics and fellowship trained in hematology/oncology. She graduated with her medical degree from the University of Mississippi School of Medicine. 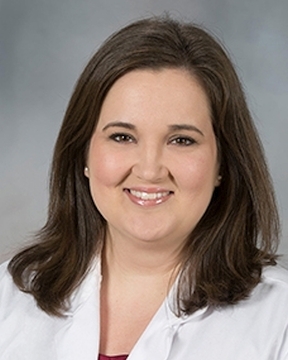 She completed her residency training in pediatrics and her fellowship in pediatric hematology/oncology at the University ... Read More of Mississippi Medical Center. During her fellowship, Dr. Strobel was awarded the Fellow of the Year Teaching Award and the All-Star Resident Award for Service. She served on the graduate medical education committee, as well as the accreditation and policy oversight subcommittee, at the University of Mississippi. She worked with the Mississippi State Department of Health on an educational initiative to increase meningococcal vaccine rates in patients with sickle cell disease. Dr. Strobel has a special interest in medical education at the institutional, community and statewide levels. She is a member of the American Society of Clinical Oncology, the Children?s Oncology Group, the American Society of Hematology and the American Society of Pediatric Hematology/Oncology. Dr. Strobel is employed with the University of Florida and practices full time at this Sacred Heart Medical Group office.